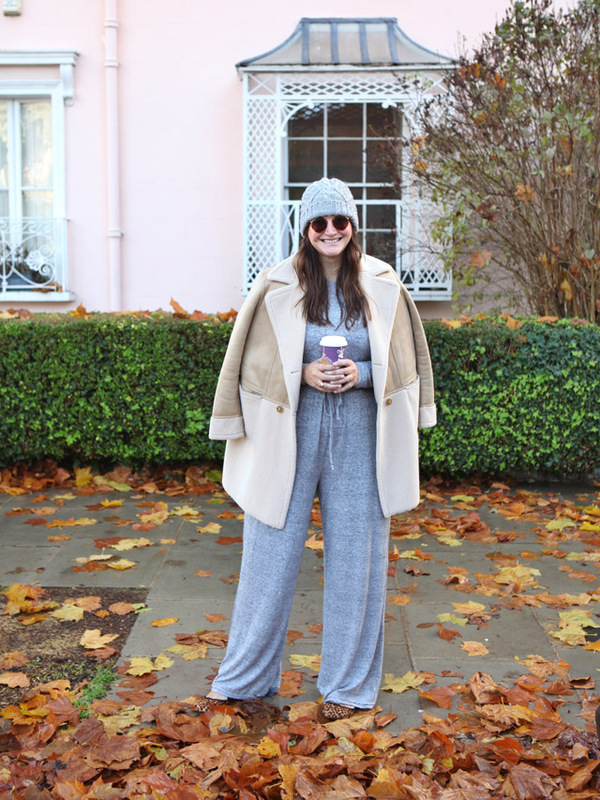 Style Update: Are you wearing pajamas? It started with Juicy Couture tracksuits. Loungewear as daywear became fully acceptable the moment women started stepping out in Ugg Boots with Juicy emblazoned across their backsides. I'm not saying this was a good moment in time. In fact, I'm pretty sure we all look back and think to ourselves "what was the world thinking?" I blame Paris Hilton and the Kardashians. Since then, the world has been trying to come to terms with wearing loungewear as daywear. Women across the globe step out daily wearing their workout gear without a single thought of actually visiting a gym and no one now blinks an eyelid. Admittedly, this is a step above Juicy bums, but still something we're all coming to terms with. So, it should come as no surprise that I'm constantly trying to find my own way of looking relaxed without looking like I've just rolled out of bed. I'm not sure I've entirely hit the mark with this look, but it's officially my new travel go-to ensemble. I have never found a more comfortable separates ensemble, so I felt the need to share (especially as the two come in tall sizes). 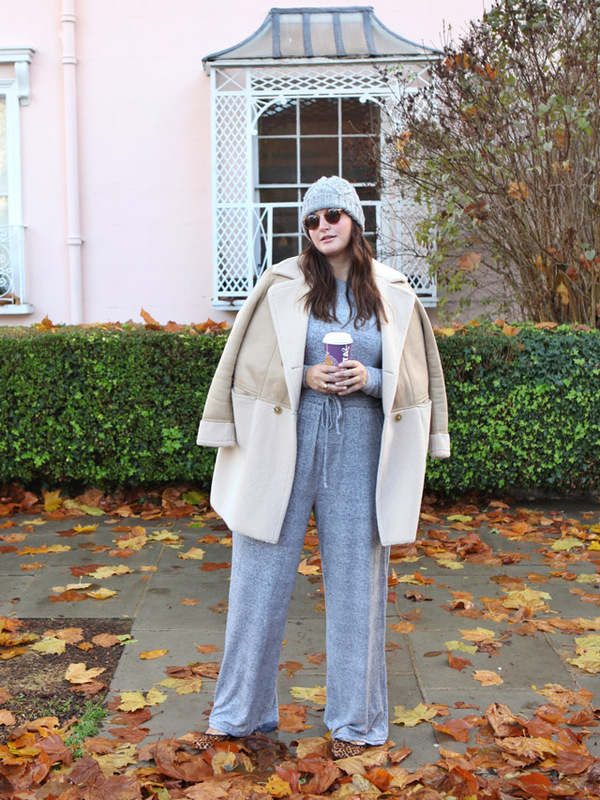 I think if you wear a "tracksuit" of sorts, you can easily dress it up or down with the right foot wear, the appropriate over the shoulder coat and a blinging piece of jewellery or two. What do you think? Can I get away with it? If you see me striding past you in Heathrow, feel free to share your thoughts!